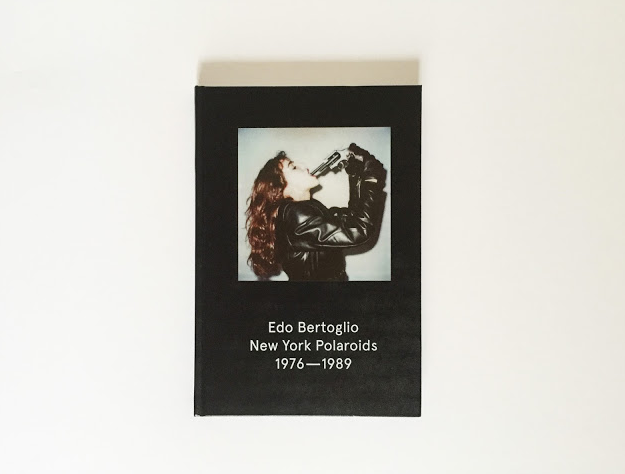 "I'd imagined to myself to move [to New York] and discover the metropolis of the future: beautiful, modern, shiny, and I ended up on the bus, on my way from the airport to the city centre, staring at old streets and rusty cars," says Edo Bertoglio in his book, New York Polaroids 1976—1989. "This was my first experience of a city looking really decadent in the middle of a big economic crisis...[and] the areas around South Manhattan were becoming a massive outdoor stage, right before our eyes, with people playing music, painting, writing, acting." Every book shelf needs one of these beauties. In honor of our next theme IMAGE, we salute superstar photographer Edo Beroglio.